My Craft Spot: Monday Challenge #103 - Wrap it up! Hello, my crafty friends. I hope you all had a fun and safe 4th of July weekend! One of the fun things about paper crafting is packaging gifts and treats in fun ways. It is so fun to turn a simple treat into something really awesome! This week's challenge: Wrap it up! 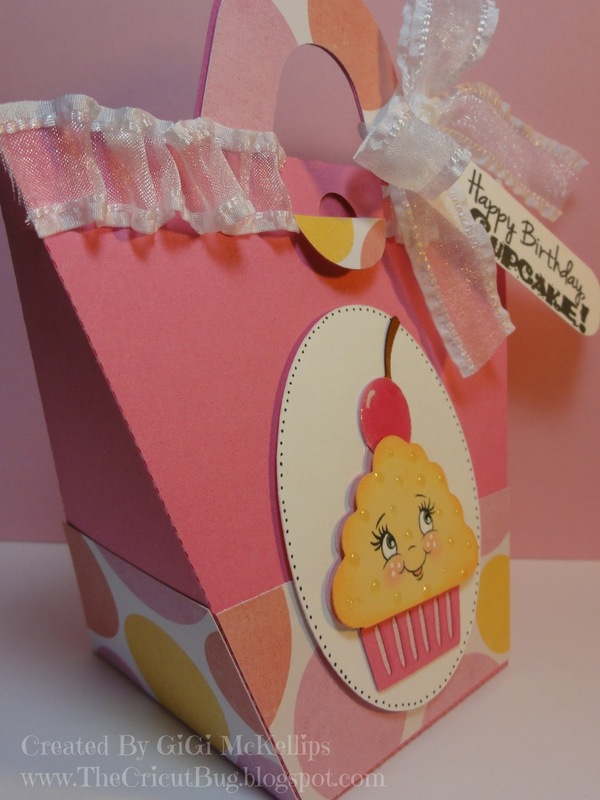 Marlene's card and pillowbox are sooo pretty! I love the patterns and colors of paper she chose! Her bows with the light blue buttons are beautiful! She Layered Vanilla Bean crinkle ribbon with Natural Jute string. 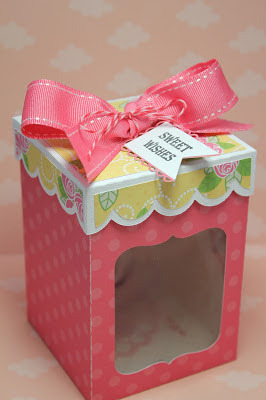 Marlene embellished a Clear Pillowbox and filled it with Cough Drops. What a fun idea! 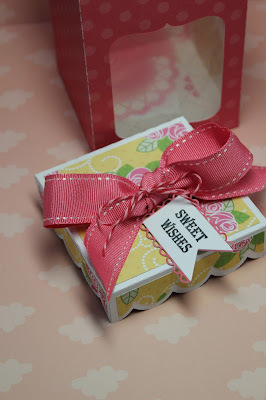 Her sentiment tag is from the Stampin' Around Summer Stamp Set and was cut from the Tiny Doiles Metal Dies. I love the stitching and roughed up edges! The "Feel better" stamp is from the Feel Better Soon Stamp Set and she cut the rest of her sentiment and the butterfly from the Small Alphabet Metal Dies. 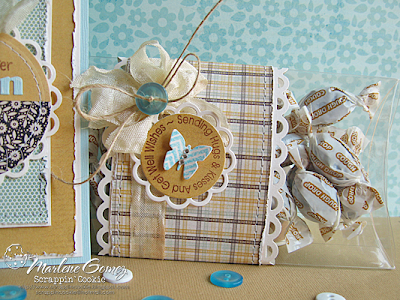 Marlene used the Pattern Block Stamp Set to add the fun chevron pattern to her butterfly. 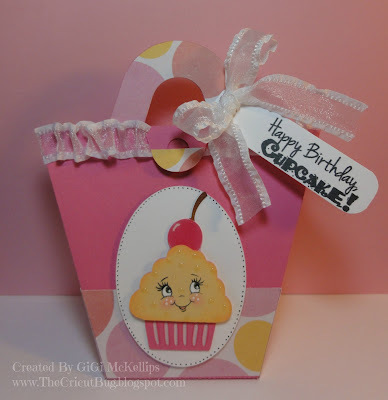 GiGi's cupcake box is so cute!! Love that adorable cupcake and her fun tag! 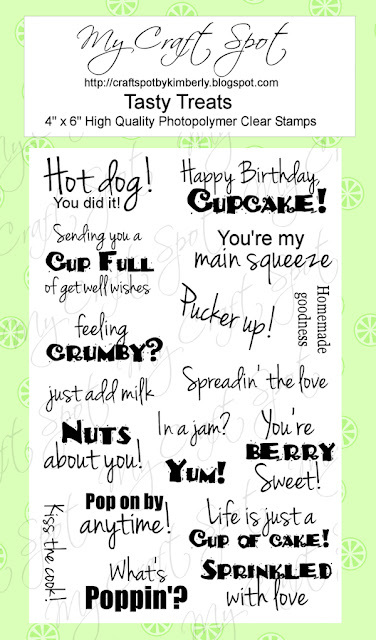 Her sentiment is from the Tasty Treats stamp set. I love how GiGi gathered her Sheer ribbon and the face on her cupcake is super cute! Heather made her awesome cookie box using a paper plate! How cool is that?! Love the fun summer colors she used! 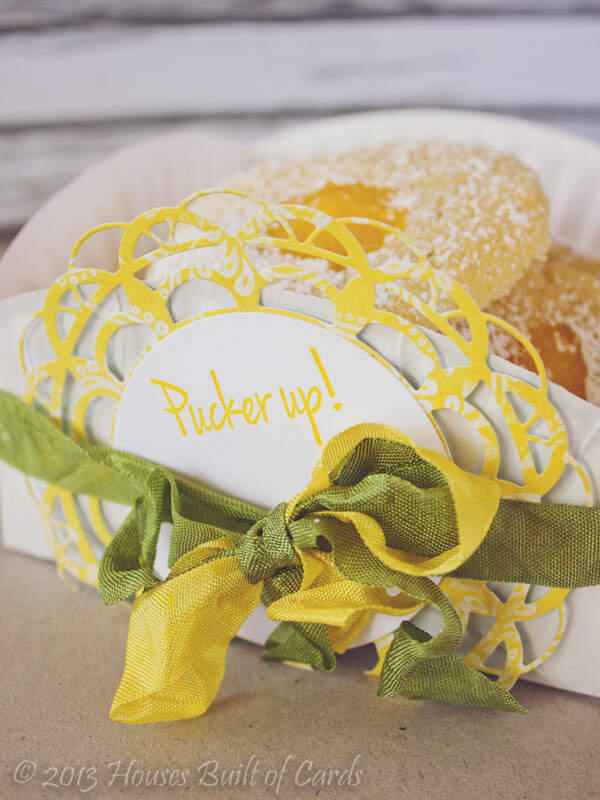 Heather tied Sunshine Yellow and Toadally Green Crinkle Ribbon around her cute box. 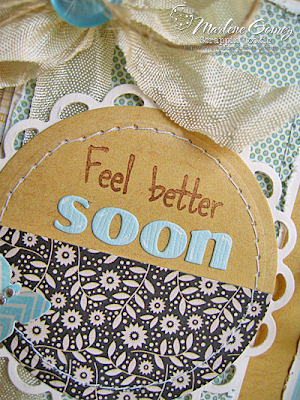 She cut her 4" doily from patterned paper and her sentiment is from the Tasty Treats stamp set. Robin's treat bags are so pretty! Love the soft colors on the kraft bags! Perfect for a large, delicious cookie! These fun cards pull out from Robin's treat bags. 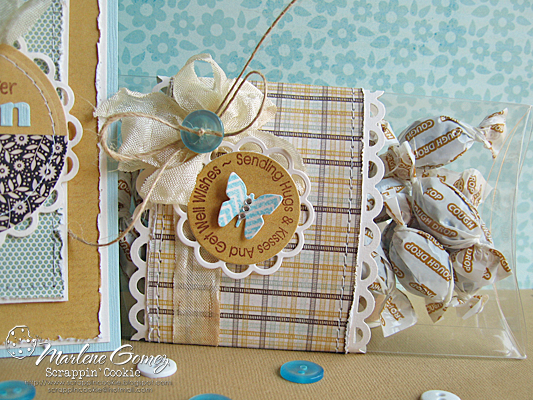 Robin's stamped sentiments are from the Sweet Sentiments 1 & 2 stamp sets. 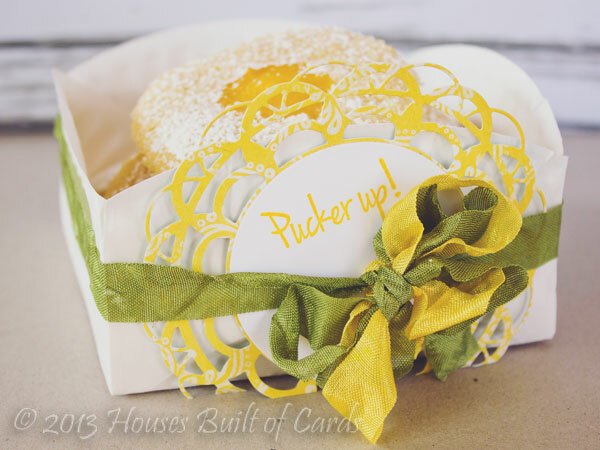 Robin cut her 4" Doily (metal die) from vellum and added a Tiny Doily Tag cut from the Tiny Doily metal dies. Her circle sentiment is from the Stampin' Around Summer stamp set. Gwen's gift box is gorgeous!! I love the beautiful colors and the clear window! So pretty! Gwen's stamped sentiment is from the Postage Stamps stamp set and she cut her banner using the Lacy Banners metal dies. She tied her banner tag on with Cherry Cupcake twine. A FUN challenge!! Super DUPER cute projects!! Love it! I love to make treat bags too! These are all magnificent! Now I want to make some more! 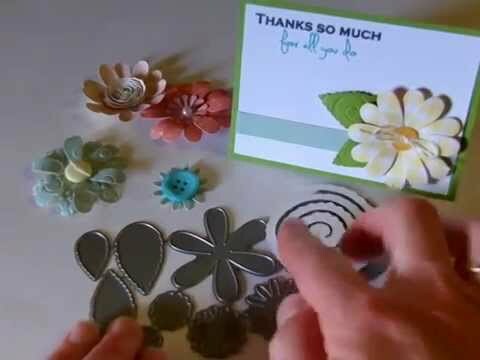 Super cute projects!! I hope you got my email Kim. What a gorgeous bunch of projects! Sure had my inspiration racing! Awesome challenge and amazing inspiration from the DT!!! You ladies ROCK!! Super cute--cannot wait to get this one blogged to link up! I'm really going to have to cave in and get some of those all around stamp sets! Do you have a combo set by any chance? I just realized there is a prize, lol! Awesome!